I mean, I think most clients would prefer to have a garment with a label in it, don't you? It's part of the package. Labels are something I've never thought about until now. I know a lot of people like them, even for themselves or, especially, for gifts. I've done a little research and there are countless places that will run up some embroidered labels for you at a pretty fair price, with as many options of sizes, colors, images, and wording as a person could wish. I know I don't want one of those "sewn with love by _______" labels, not that I don't love sewing of course. I just don't want to come across crafty or homespun. I came up with these (below) on my own; the color choice was random but I did choose the fonts. I think that says it all, don't you? Or doesn't it say enough? 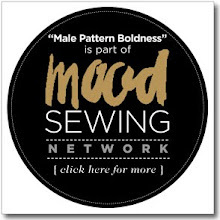 You may be wondering why I'm not using Male Pattern Boldness. For one thing, it's a little too long, and for another, it's a bit -- dare I say it? -- silly. I've seen labels that include phone numbers and websites, but if someone sees your label and wants to know more, wouldn't they just Google it? I would. If you have any recommendations, I'd love to hear them. Are you a label-lover, even for the things you sew for yourself? 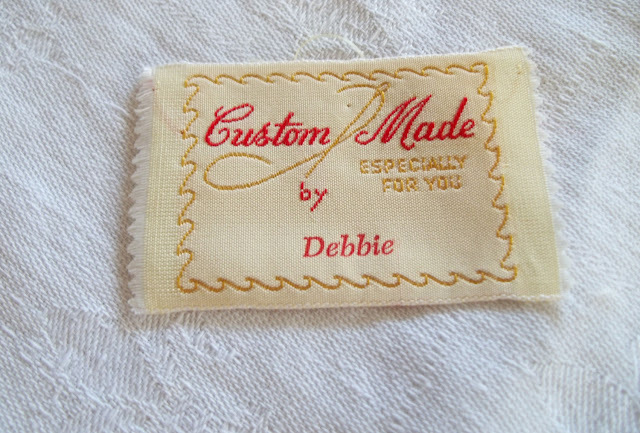 I love the IDEA of custom labels, but in reality I often cut the labels out of my store bought clothes because they're often scratchy on my skin. In a side seam they're okay, I suppose, but then they're rather hidden and doesn't that defeat they purpose? Yes, that was my first thought as well--I always cut labels out if they're at the neck, but they don't bother me if they're at the side seam. I don't think they're too hidden there, though, as I think people know that if the label isn't at the neck, it will be found at the side seam. Lolll. 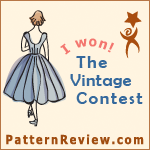 I have some of those old sewn-in labels from the 1960's that belonged to a dear friend that sewed. I couldn't agree more! Yes yes you need a label. Make sure it isn't scratchy. Get samples! I used that same place for labels for my art pieces and was very pleased. She sent a package of samples right away. A simple label is good. I read your blog all the time and I'm not much of a sewist! I am a vintage machine lover though. Have you seen http://www.schoolofmoxie.com/2015/08/how-to-make-labels/ ? I had my own labels made: "Damn Well Hand Wash". The label design without the serifs is very chic. I like the top one a lot. For what it's worth, I think saying simply "New York City" after your name is even more restrained and chic. I agree. Another place for lables would be at the hem on the front facing I also think it would be a good idea for you to have your own website, if you don't already have one. Pet. erLappin.com if it's abvailable with lots of photos of garments you've made. I also cut the labels out. Back of the neck and the side seam (right at the waist- really?) are uncomfortable. So put the label in, as I think it's important, but attach it in such a way that it can easily be removed. I like the nice clean look you've chosen. I put my labels on the outside of clothes. The way I look at it, I'm an artist signing her work. Not only that, but they're unlikely to be itchy that way. 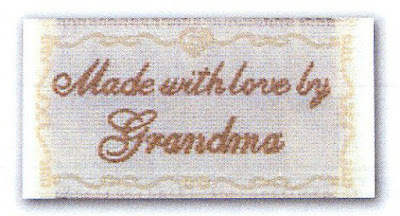 And mine say, "Granny Lane Sewing"
Have you seen Enrique's labels? It's his first and last name with "New York" underneath. I ordered some for myself from the same site. They're woven, come in many colors for the text and the label itself, and look good. They also have a small minimum quantity. They also sell matching hangtags. Their user interface was intuitive and fun to play around with. Highly recommend! I also have purchased from them and highly recommend. They were fast to ship and they look great. 100 labels was somewhere in the neighborhood of $40. My $0.02: I actually like 'Made in New York City', as I think most would assume that 'NYC' alone would only refer to your worldwide headquarters and that your manufacturing complex is off-shore. 'Made in Manhattan' is even better, although it's probably trademarked. Imho, printed labels scream cheap. 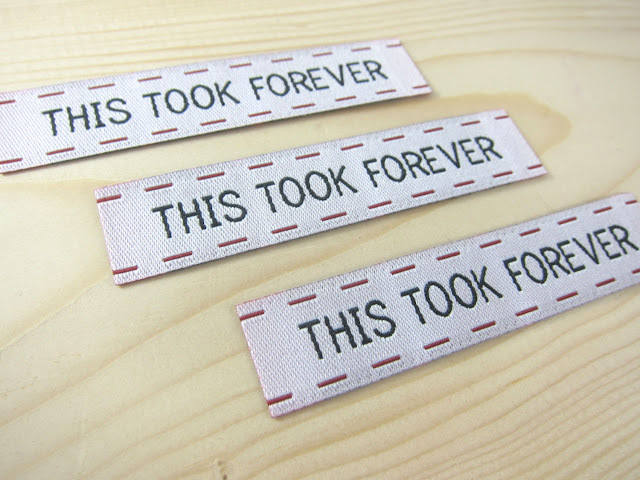 Embroidered labels can be tiny works of art. I recommend buying an embroidery machine and color-coordinating your labels for each item using the same logo. 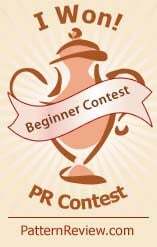 As for the logo itself, I like simplicity but I encourage you to incorporate a graphic hook or cue that is distinct, subtle, avoids kitsch or crafty, etc. Something that is uniquely yours and an element that can introduce a third color if the garment warrants. I'm also one of those people that ordinarily cuts out labels in RTW, however, I have found that when I sew in my own labels, I do it so that they are NOT scratchy . . . . and they stay in! I've been using labels for years - I usually get small runs of 30-40 labels and that lasts a year or so. I like phrases like 'Private Collection' - sounds classy to me! 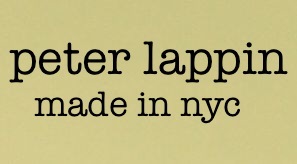 Not crazy about the made in nyc part....... why not "Peter Lappin Ltd." ?? It sound so sophisticated! Or why not PLNY?? LOL! Forget that one! I don't want to see you get sued! On the serious side........... I do like Peter Lappin Ltd.!! Ltd means limited liability company, so it would be a misrepresentation unless Peter in fact has a company by that name. 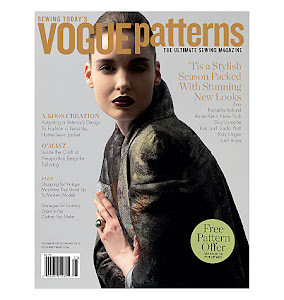 Another vote for Peter Lappin New York on embroidered labels. While Peter Lappin Ltd does sound sound impressive I'd avoid it unless you are Ltd to avoid any potential misunderstandings and legal implications. Definitely see if you can order samples of the different label materials and sew onto scraps. I got some at an expo and the labels seemed fine until I sewed them in and realized the corners were annoying and scratchy. My tuppenceworth - printed satin labels are usually uncomfortable because the edges are heat set so scratchy. I like the idea of what Robert Graham does - embroidering the logo onto the inside layer of the shirt yoke. The other issue is of care labels - these are really useful and in some cases and places a legal requirement. My mother-in-law, with the very best and kindest intentions, bought me labels as a Christmas present one year. They said, "Handcrafted by [my name]." I was mortified, since "handcrafted" had (to me) negative connotations. 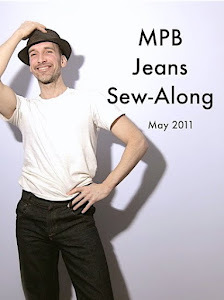 If I were to have labels made for myself, I'm not sure what I would put on them, but I like your Peter Lappin NYC labels. Handcrafted may send your inner snob into spasms, but 1) it's true and 2) it's true. If you sew/create a single item with care and attention detail, with all the artistry and skill at your command, with any small or large amount of love and passion, it's handcrafted. And that's a good thing. It's infinitely better than appearing to be made in a factory in a 3rd world country. I also go for "Peter Lapin . New York", without the city. Inspired on you, I have sewn a pair of shirts for my husband in the past and embroidered direct on the inside yoke with his initials and the year. The result was cool, sophisticated and does not scratch. It is also fun to play with thread color. I did free-hand embroidery with my vintage Singer, but if I did custom shirts like you, I would consider to buy an older embroidering sewing machine to use as my label-maker. Some of them have several options of letters. 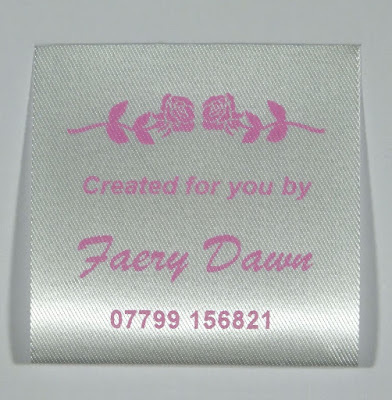 Make your own with satin weave cotton labels and a stamp. They wash well and are not scratchy at all. So many great info from your readers! I never considered labels, because I cut them out of everything I buy. I am even more annoyed by the ones that I can't get out without a major alteration. And yes, even the ones on the side seam drive me crazy! 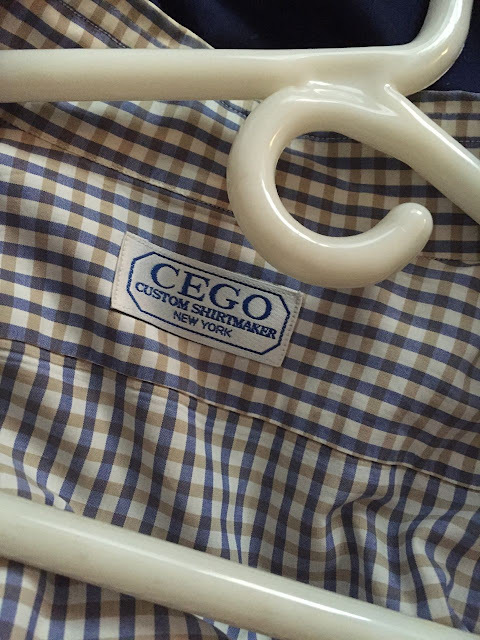 My husband's custom clothing have both his name and the tailor's name, and size info. The shirt labels are on the button placket (inside), which I suppose would not bother me. I also like the font on the first label and either "New York city" or "handmade in New York City". Here it is! 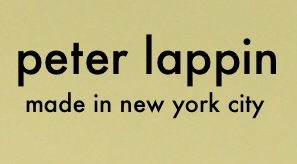 "Peter Lappin - New York" in the top label print. You don't happen to have a killer middle name.................you know, something like Roy "HALSTON" Frowick??!! Speaking of Halston, is 2015 going to be like 2013 and 2006?? "Years he didn't post anything on his blog, for 1,000, Alex." Test I knew you were somewhere lurking......just waiting to drop down on me like a ole spider! LOL!! Lord, I have to post anything on that damn blog to save face......curses!! LOL!! Definitely include your full name- that's how you'll get by with the googling. And I like the made in NYC idea. BTW I like the no other contact info. We really are in an age where google should get you there as long as your name is there. And as an art quilter I'm 100% on the label everything bandwagon. Your work is so fabulous, you definitely want people to know it's yours as it goes out into the world. Hi Peter -- I like the second font best. Drop the "Made in" and the word "City". And you should definite have a label that means bespoke. If you haven't already, I would also start keeping a log of your clients, what you make for them, and the date. Good luck! I like Mrs. Mole's suggestion : LAPPIN of NYC. 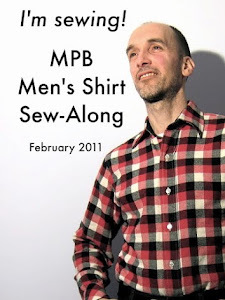 In his videos about making a bespoke jacket, Rory Duffy made the label for it using a typewriter. I think it looks more "custom" than "crafty". i like the first one best , and i love the idea that your going for more a bespoke look than a home spun look! Call me a red-socio-commy-60s throwback, but I just don't like labels. Period. But if it saves me from being condemned to some very, very bad place, I do sometimes hand embroider little red hearts on the inside seams of things I make for my family. Discreet corny-cute factor, very popular with some 11 year old girls. Hi Peter, I like the first label a lot. If the label is definitely not scratchy, then put it in the yoke, but otherwise low on the front facing. I agree with Mrs M - every garment should also have a label that says what it's made of and how to care for it. That can be in the side seam. I like the first label. It's classy and says it all. I suggest the above except it should be centered. Since I make quilts, the 'this took forever' really fits me. I may have to go for those. Definitely non-scratchy! I suspect on the yoke it would be alright, as opposed to the collar stand though. My advice: get a woven top/bottom edge (like a ribbon) and get them pre-cut and end folded. You can sew them in by machine inside the endfolds so no stitching shows. Also make sure the lettering, which will also be the reverse colour on a woven label, is not too dark so it shows through the outer yoke when worn. Could be a bit yuk! Look forward to seeing them in action! I like the first one. I think the "made in" makes it clear where it was actually sewn, vs just the name of the city which could imply it wasn't made in the USA, e.g. the company is located in New York but the product manufactured elsewhere. As long as the label isn't scratchy, I don't mind it in the neck area or anywhere else. Like other commenters, the first order of business when I buy RTW garments is surgical removal of scratchy labels. The first one has my vote also. May I suggest Dortex? www.dortex.com I am fussy about only having natural fibres and spent ages searching for 100% cotton. I have my first order now and the quality is good. I believe you can upload your own art, although I used the standard elements/fonts to get something I was happy with. I have mixed feelings about labels. I think you absolutely should have one with all of the sewing for clients you have been doing. But personally, when I wear store bought clothing (which is becoming more and more rare these days) the tags really irritate my skin. Can't wait to see what you come up with - just don't sew them in with that horrid fishing line that RTW loves to use!